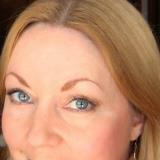 Professional Writer, a nature and wildlife enthusiast who has written for many magazines. Thinking back on some hikes I’ve made in the past in some less-than-wilderness areas, and the things I saw there, I could just kick myself now for not documenting them. I never carried a camera; I didn’t want to be bothered with that. And even if I had carried one, I was too stupid to know what I should be taking pictures of. That’s just ignorance. Something I can forgive myself for. It happened before I knew better and knew what to do. But what do you call it when you see or hear something in the woods now and you have the knowledge to process it, but you don’t? I’ve never actually seen a bigfoot. If I did, I think I’d never go into the woods again. But something happened to me last fall that I didn’t talk about for the simple fact that I was in denial. 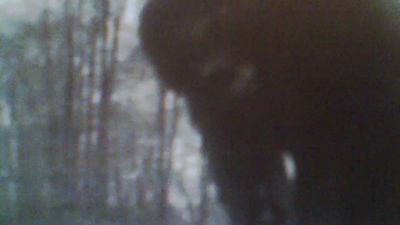 Now that some time has passed, I’m asking the question if I had a real bigfoot encounter or not. It was a no big, dramatic thing. I was just walking along a tree line in an area that I frequent. The fall leaves had fallen and were laying thick on the ground in the woods off to my right. But I was just walking along when I suddenly heard footsteps off in those thick woods making clear crunching sounds in the dry leaves. And in a forest full of deer and other critters, I wouldn’t have thought much about that, but it sounded like someone walking on two feet. Not four. As soon as I stopped so I could hear better, they stopped too. And when I started moving again, I heard the footsteps again. Now, other animals do this, like deer. But like I said, this sounded like two feet. It sounded like a human sneaking around in the woods. It’s possible it was a human following me. Very possible...but not very likely. Could it have been what I think it might have been? I thought about it a lot after that; the creepy feeling I got when it happened. I don’t get a creepy feeling when I hear animals in the woods. That’s more like an adrenaline rush, or fight-or-flight response to tell me to stay alert. So what was it? This brings me to a story of my former ignorance and my not carrying a camera. Two years ago, I was walking down an open hiking trail in the same area, when I came across a huge dried blood pool in my path. It was probably about 9 feet or more in diameter stretching across the trail and beyond into the grass. Luckily, I did have the presence of mind to look for drag marks in the grass and brush, but saw none. It was interesting. That’s all I thought about it. I felt sure it was a deer that had been killed there, and I wondered what was big enough around here to bring down a deer. Coyotes, or maybe even a bear or cougar? But there would be drag marks, wouldn’t there? Some remains? A blood trail? But since I hadn’t been carrying a camera, there is no picture of this, and I can’t prove a thing. I had told myself that day that I’d bring my camera back and take a picture, but it rained after that (of course) for several days, and when I finally made it back, the pool was gone. And about all this, I never said a word. Why? Denial is a funny thing. Why is it that we can convince ourselves so easily that we might be crazy and we’re just imagining the whole thing. Maybe society and all it’s know-it-all attitude messes with our head a little bit... perhaps. But the fact is that when our brain attempts to process something, it tries to associate something we see with the familiar; something we’ve seen before. So if we’ve never had a bigfoot encounter before, our brain can easily tell us that what we’re seeing is just like something we’ve seen before. Something we know. But that doesn’t mean that it is. That doesn’t mean that it’s not something different. Shooting Bigfoot - The Reviews are in! New Sighting Of The Seljord Serpent? Shooting Bigfoot Film - Not long Now! Sirius - The Complete Film - Aliens are Real! Choose The Right Camera - End Blobsquatch Photos! Mystery Figure on Mountain side? Worldwide Paranormal Network - TCC's Jason Morse! Unknown Skeleton of a Monster found? UFOs over Tampa, FL - What are these objects?